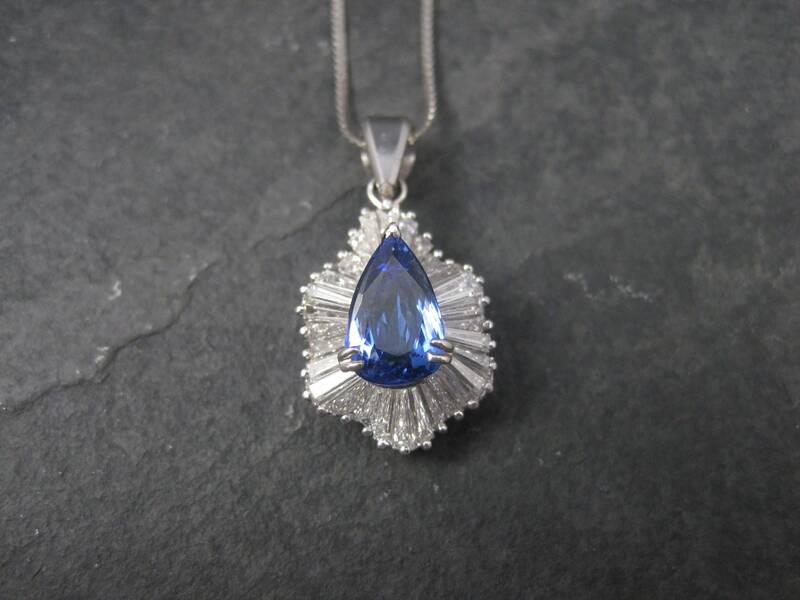 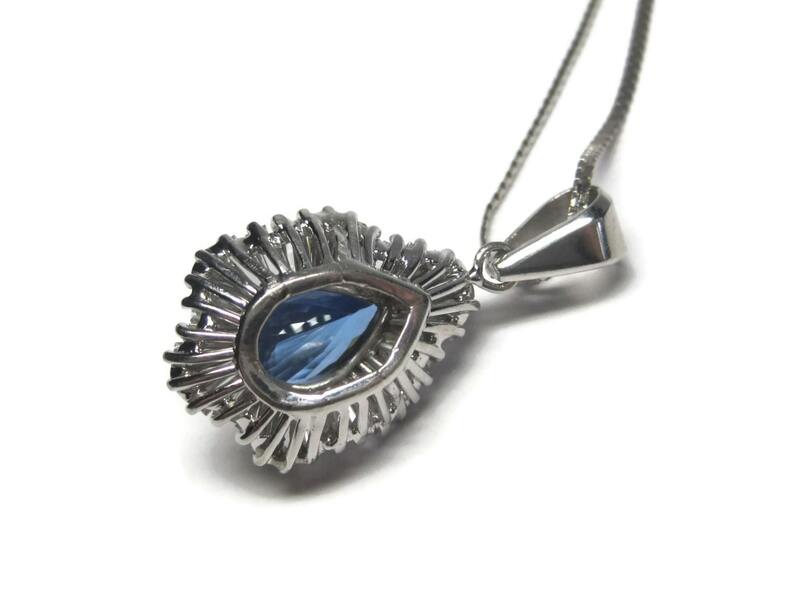 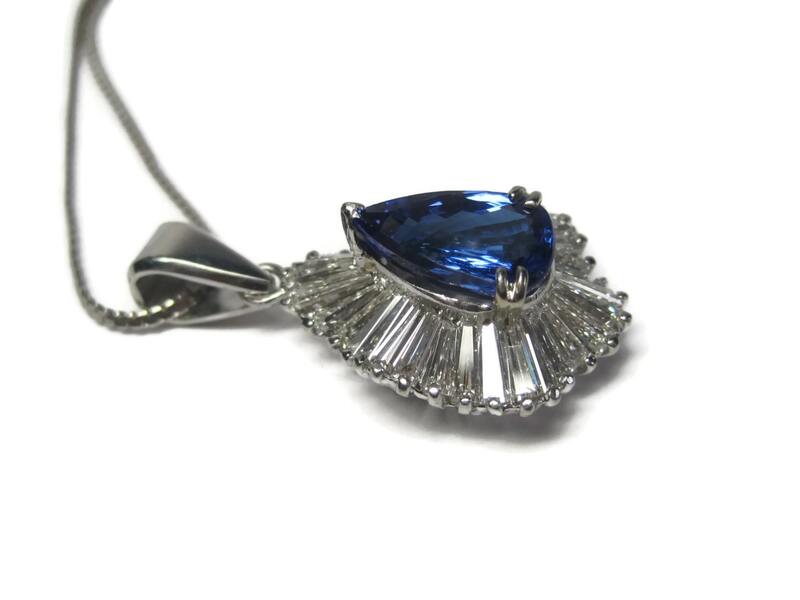 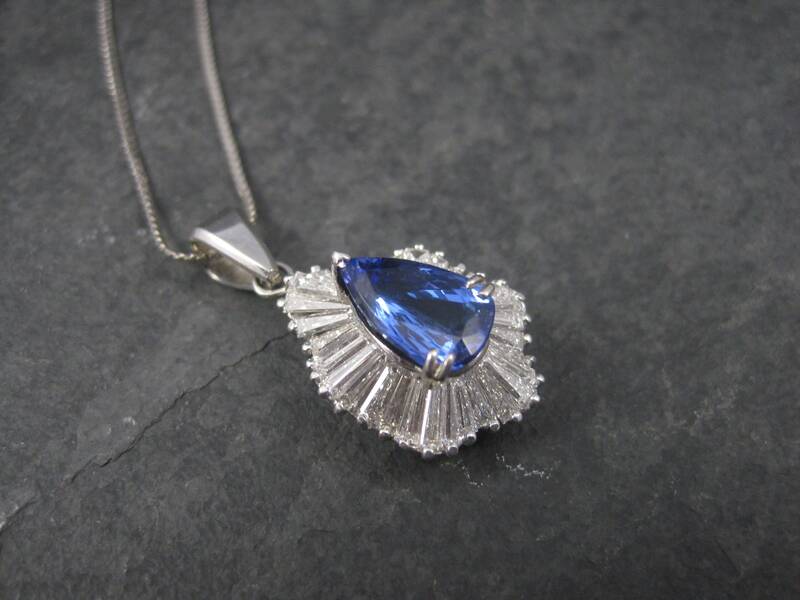 This gorgeous vintage tanzanite and diamond pendant is 14k white gold. 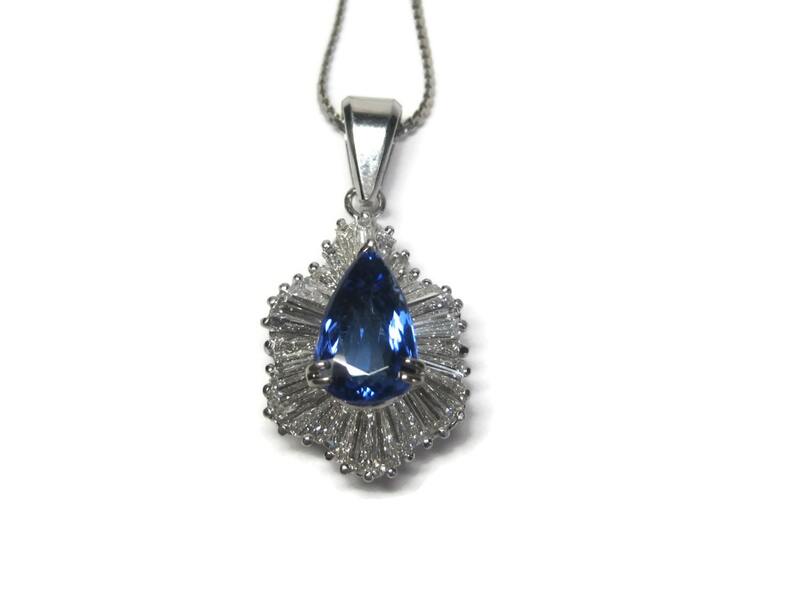 It features a 3.05 carat pear cut tanzanite accented by a halo of 2.5 carat baguette cut diamonds. 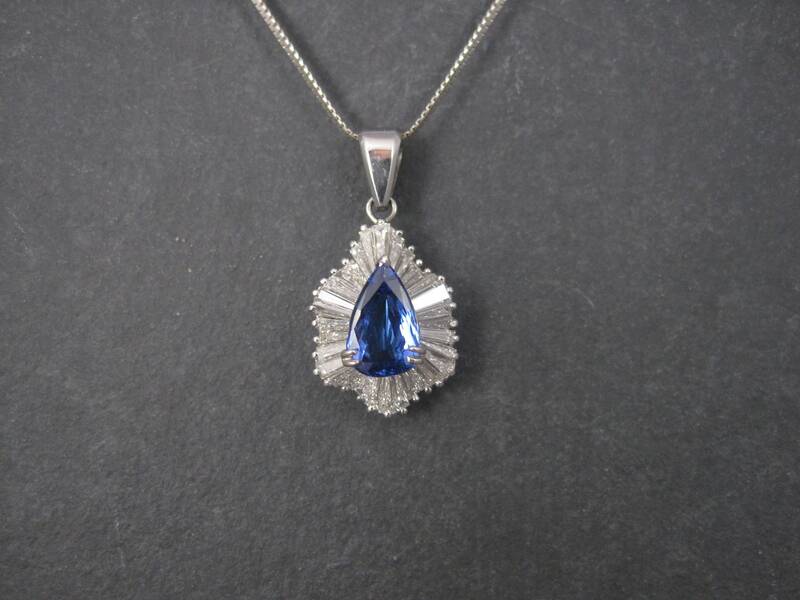 The tanzanite measures 11.74 x 7.5 x 4.72mm and is rated dark blue violet, SD. 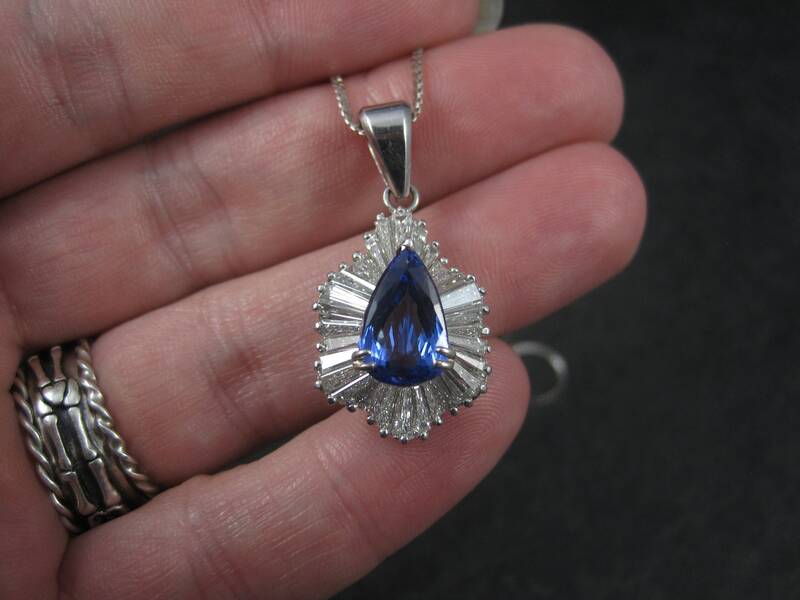 The diamonds are estimated to be 2.5 Ctw with an average of VVS2 and VS2 in clarity and G to H in color. 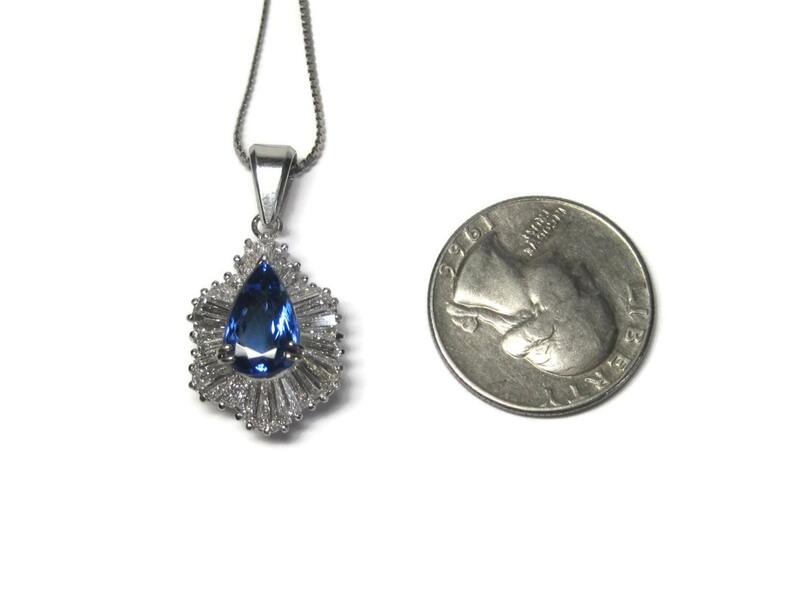 The pendant measures 5/8 of an inch wide ad 1 1/4 inches long, including the bail. 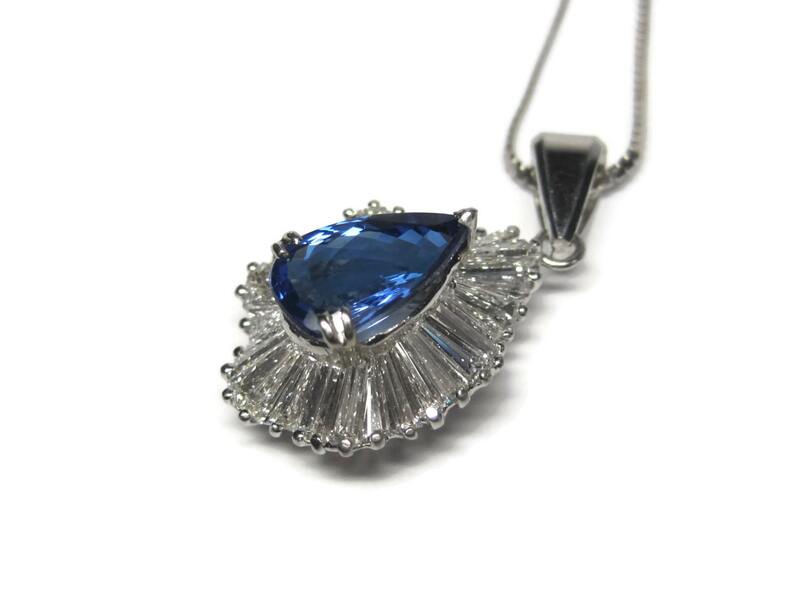 It is in phenomenal condition. 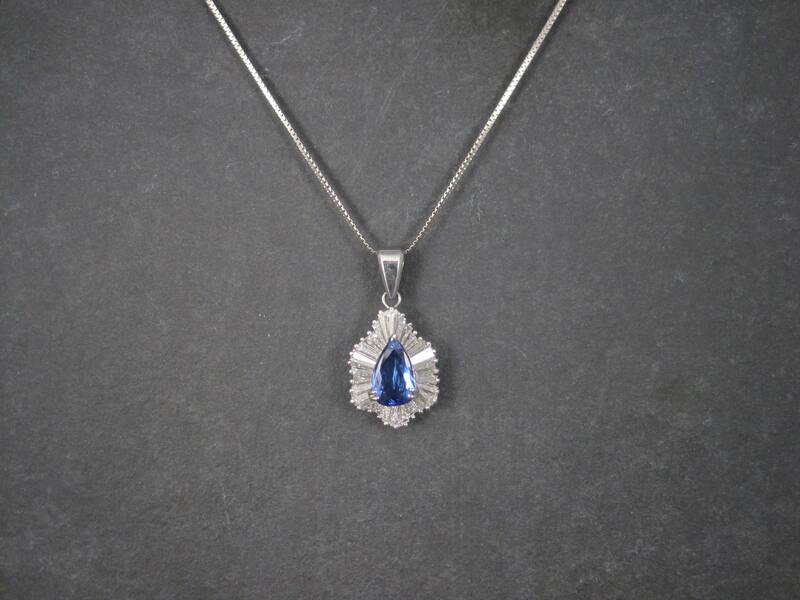 Also includes a 16 inch, 14k white gold chain.